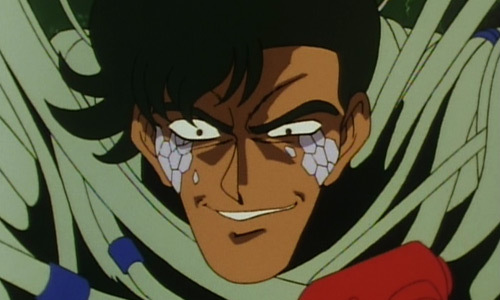 DG cells are a lot like Borg nanoprobes, converting people into cyborg servants of the Devil Gundam. The condition is treatable as long as the cells haven’t reached the brain. Saette’s not at that point yet, but he has blackouts where the DG cells gain control and force him to tear up the city with his Minaret Gundam. 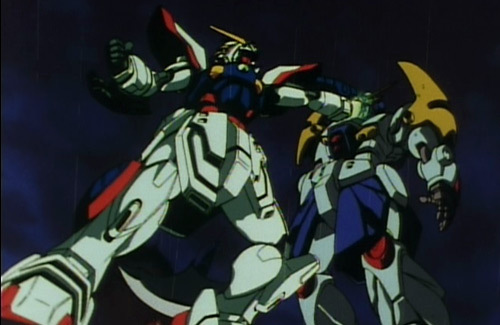 The army arrives at Domon/Rain’s hotel to arrest Saette, but he escapes to his Gundam – Domon challenges him to a Gundam Fight Match. Domon wins, of course, and Saette recovers in the hospital, DG cell free. The best one yet; it helped expand Rain’s character and fleshed out her history. We also learn more about DG cells, explaining how Dahal’s corpse was reanimated in the last episode. 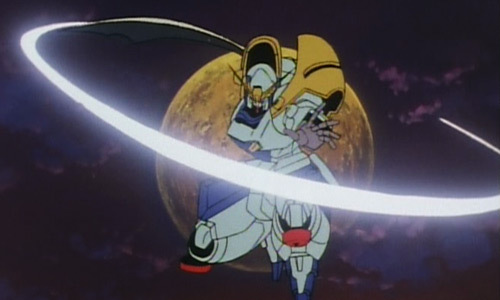 Truly the Devil Gundam’s most dangerous weapon. I really liked the tragic love story presented here: Saette spent years believing Rain ditched him because she didn’t love him. 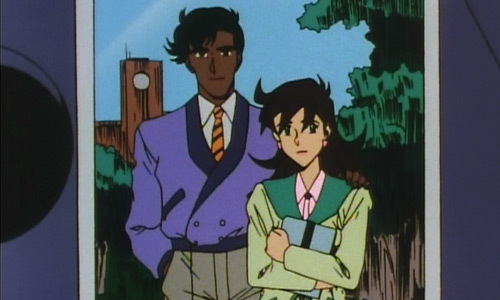 But the real reason Rain left was because her father called her back home after the situation with the Devil Gundam we saw in episode 6. 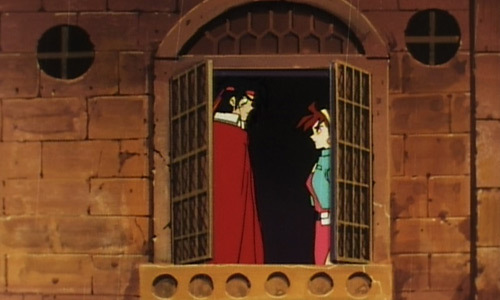 Saette still has feelings for her (he has a photo of himself with Rain in his Gundam cockpit), but it seems Rain has moved on…to Domon? The visuals were above average in this episode. I especially loved the shot of the lightning flash illuminating the Minaret Gundam’s face, making it look evil when under Devil Gundam’s control. Maybe one egg too high, but this was the episode that made me a fan of the show.